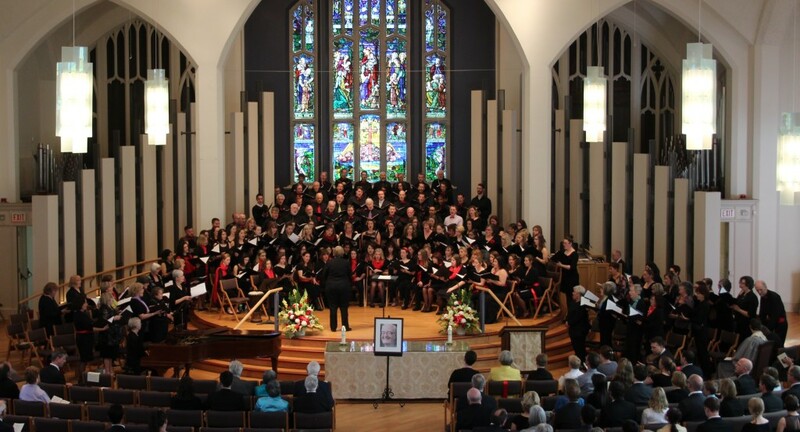 How fitting that Saturday’s “Celebration of Life” for John Barron in Toronto featured a mass choir of over 150 singers. 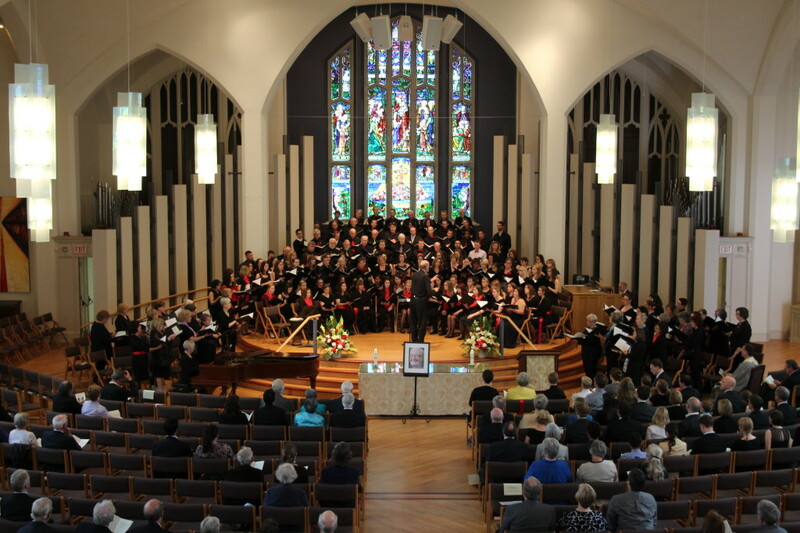 The choristers came from many of the choirs that had experienced John’s magic: Amabile Youth Singers (the London choir he co-founded), Amabile Women’s and Men’s choirs Prima and Primus, plus members of Amadeus Choir, Elmer Eisler Singer, Festival Singers, Ontario Youth Choir and Eglinton St. George’s. The congregation who enjoyed this breath-taking music were family and friends as well as many more choir executives, parents of choristers and some of John’s former pupils… although regardless of the aforementioned group they fit into, everyone there considered themselves also in the ‘friend’ category. That was John! 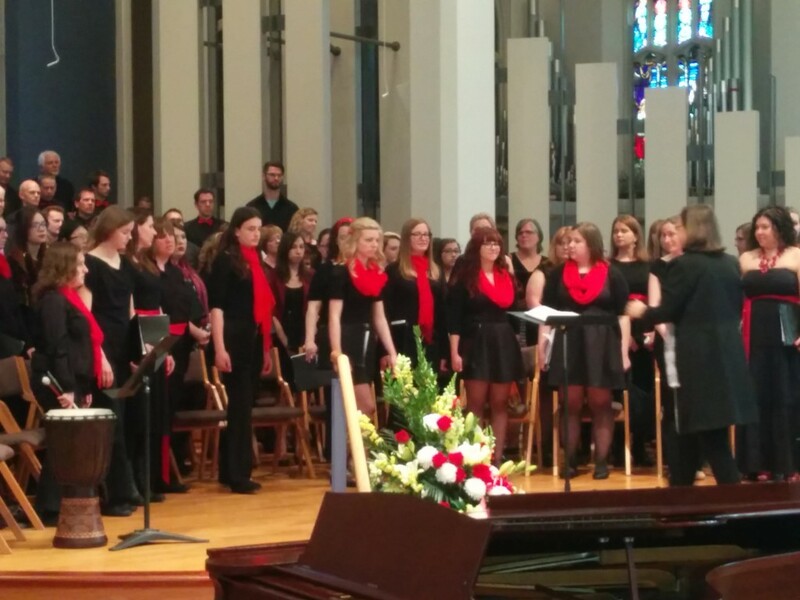 The preponderance of red sashes and bow ties were a salute to John’s years with Amabile. In his early years he wore a white dinner jacket and red bow tie, matching the AYS red sashes. 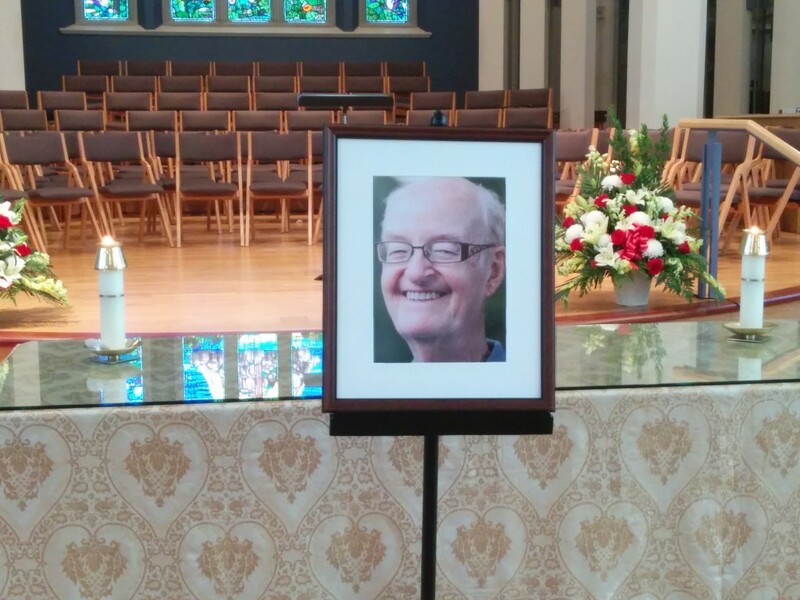 Regardless of how busy he was, he always had time for his choristers. 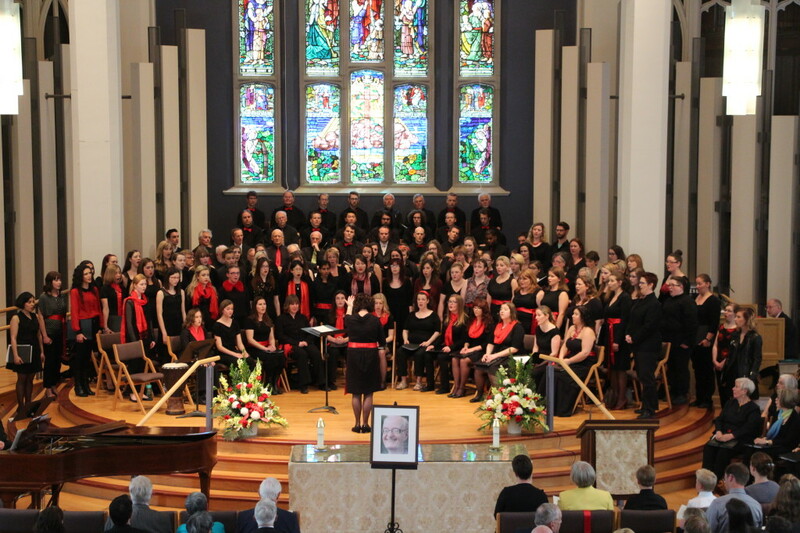 John’s legacy will live on in the music of the hundreds of choristers whose lives he touched. 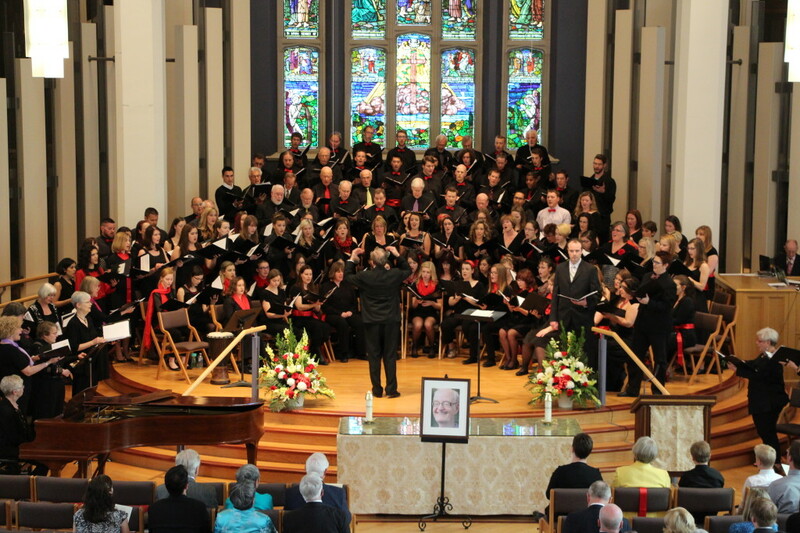 Click here for a biography of John’s life and just a small look at his influence on Canadian choral music.